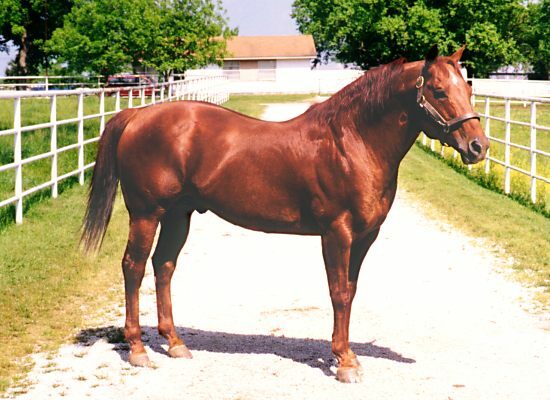 On The Money Red was, and is, the most prolific sire of money-winning barrel horses of all time. 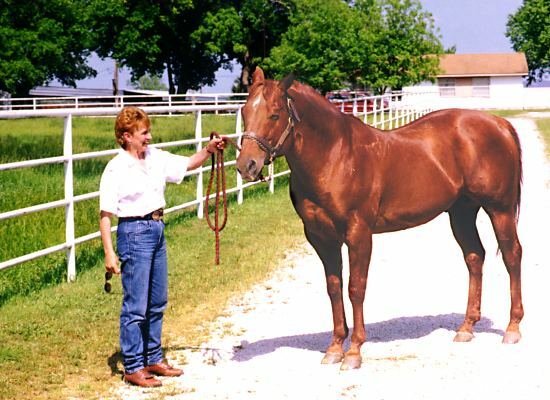 The concept of breeding horses specifically for barrel racing is relatively new in the horse world, and On The Money Red was one of the first stallions to rise to prominence in this specialty area. The blossoming barrel futurity industry took note of him as his race starters made the move to successful barrel racing careers. Then throughout the 90's and up to the present day, a steady stream of On The Money Red offspring have been found at the very top of the standings. On The Money Red is at the top of the statistics in more ways than one. There will always be exceptional equine athletes that seem to come out of nowhere, and when the dollars are tallied, these horses can catapult their sires to the top of the list. That is why we feel it is important to look at the number of offspring contributing to a stallion's dollar total. The statistics tell the story for On The Money Red. In 2001, he had 59 money-winning offspring, and in 2002, there were an amazing 72! That suggests success for many different riders, with different skill levels, riding equine athletes out of many different mares. With this kind of success and high visibility in the barrel horse industry, it is not surprising that an acronym emerged as a simple way to refer to this stallion. In discussions among barrel horse people, and also in advertisements, On The Money Red is commonly known as 'OTMR'. In the WPRA, On The Money Red's most successful offspring to date has been Speed Money. 'Bumper' was a five-time National Finals qualifier, was voted WPRA Horse of the Year three times, and was a winner of the Calgary Stampede $50,000 round. Speed Money's life-time earnings exceeded $450,000. Another OTMR offspring in the WPRA was Fallon Taylor's mare, Flowers And Money, that took her down the professional road all the way to the NFR. On the futurity circuit, Kim Landry has ridden several OTMRs to fame, including back-to-back wins at Fort Smith. 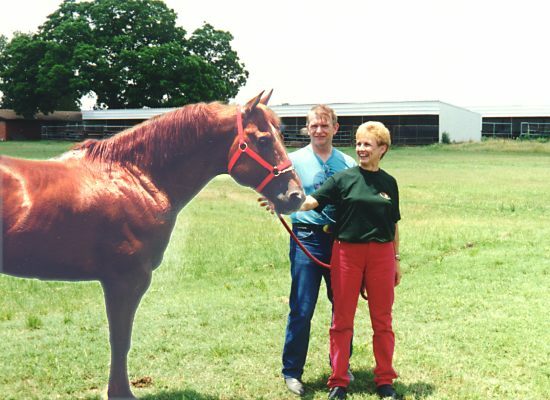 In 1996 she took top futurity honors on See My Money, and we were there in 1997 to see her repeat with On The Money Luv. On The Money Reds have a reputation for being intelligent, fast, with a lot of heart, and they like to find a barrel and turn it. We have been impressed with the burst of speed, explosive power, and cat-like quickness of the OTMRs we have owned. On the track On The Money Red earned a speed index of 103. He was a stakes winner himself, and had six wins, four seconds, and four thirds from 22 starts. He has sired multiple stakes winners and AAA-rated race horses. On The Money Red was put down on January 25, 2001, due to a cancer, but his influence on the barrel horse industry is far from over. His direct offspring will be seen on the futurity circuit in 2003, 2004, and 2005. There are several OTMR sons starting careers as barrel horse sires. It may be that his greatest contribution will be made through his daughters. We expect to see his name begin to appear on the maternal grandsires list as own daughters of OTMR begin to produce equine athletes of the highest quality. On The Money Red - barrel horse bloodlines at their best!